NEI(Nutrition and Education International) is a processing bean project in Afghanistan because the Afghan people haven’t grown beans yet. Beans can help not only Afghanistan children and women's health but also their economy. 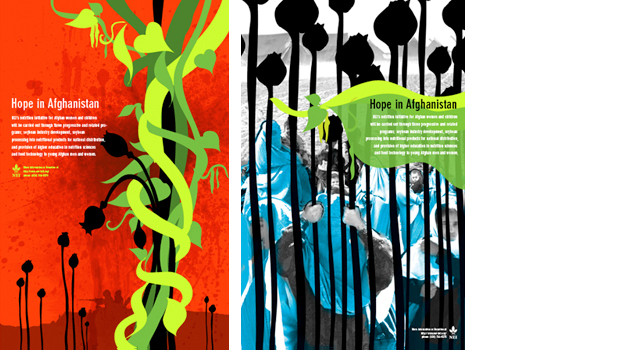 I used poppies as symbol of Afghanistan shackle and visualized that metaphorically.